When it comes to improving the waters of the Chesapeake Bay, one Penn State Harrisburg researcher suggests taking the long view. As a geologist, Jennifer Sliko, assistant teaching professor of earth and geosciences in the School of Science, Engineering, and Technology, is used to studying the earth in the context of thousands of years. But for the Bay, she's only currently talking about decades. Sliko and colleague Shirley Clark, professor of environmental engineering, are leading a group of undergraduate and graduate students to study the impact of stream restorations on the Bay, the world's largest estuary and a major fishery and ecological resource. The Bay has been plagued by poor water quality that has devastated the area's ecosystem. Pennsylvania has some 86,000 miles of streams, many of which lead to the Bay. Sliko said that to fix the Bay, the general idea has been to fix the streams dumping water into it. One way to do that is through stream restoration activities such as stabilizing stream banks or creating wetlands. These measures help the species living in and around a stream, reduce stream bank erosion and improve water quality. "The driving questions behind our research is asking if stream restorations, which are pretty costly, are actually cleaning the water that goes down to the Bay, and are we utilizing our efforts in the best possible manner to restore the stream effectively in the long term," Sliko said. She explained that while these restoration practices have been tested on a short term scale, like 10 years, she and her students are looking at whether or not the restoration will be effective "in 30, 40, or 50 years down the road." "We are looking at different restorations and comparing their effectiveness, and also the age of the restoration—something that is often overlooked," Sliko said. 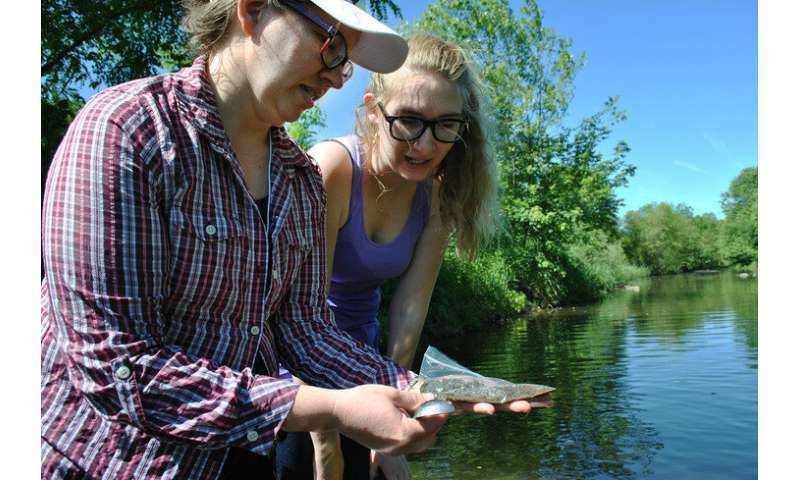 During summer 2018, Sliko, Clark, and their students—Elizabeth Bell, Larissa Ogora, Jeremy Ricketts, Sarah Ryan and Rachel Smolinski—studied several streams primarily in the Susquehanna River Watershed, close to the college campus and also in Lancaster County. This coming summer, Sliko plans to expand the research to more streams. 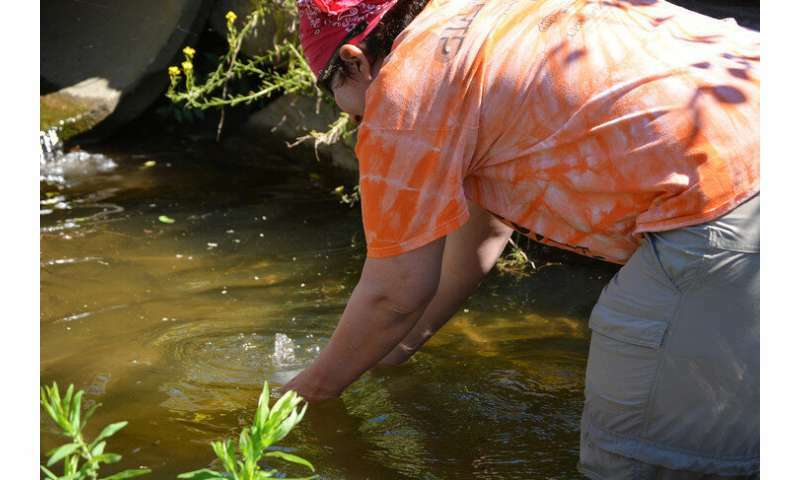 In one stream that was restored about 20 years ago, the group found a drop in water quality and they are trying to determine what can be done to make sure the restoration is sustainable for the long term. "This restoration has been in place since the 1990s, and water quality improvement has tapered off a bit. It is possible that land use has changed, so maybe people in the surrounding area are not adhering to some of more rigorous environmental standards," Sliko said. "That amplifies the need for our research; we have to look at these things longitudinally, not just once." The project was largely funded through the Penn State College of Engineering's Multi-Campus Research Experience for Undergraduates Students (MCREU) program, allowing the group to collaborate with faculty and use labs at University Park. In the field, they do some analysis in the stream, and then bring water samples back to the labs for further testing. 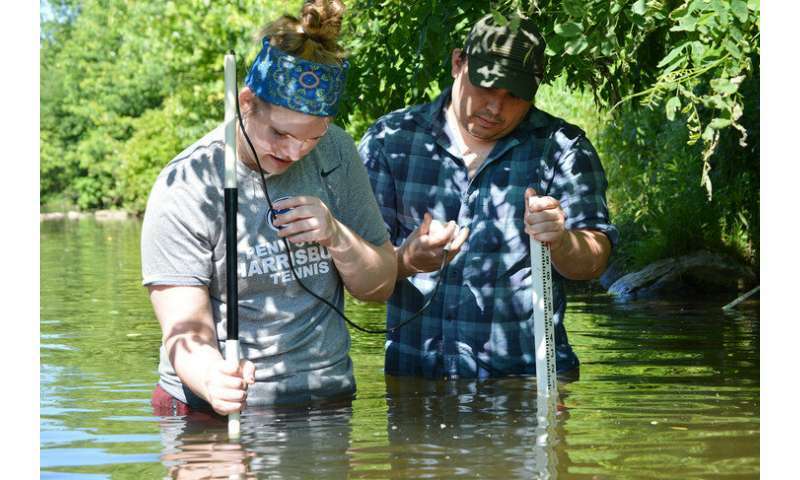 "We look at different parameters of stream health, such as dissolved oxygen, PH, turbidity (cloudiness of the water), salinity," Ryan, an environmental pollution control graduate student, said. At the Penn State Harrisburg lab, they test the nitrogen and phosphorus in the water. The undergraduate students also do lab work at University Park, where they test for different types of metals, nitrogen and phosphorus in the soil. "Since we don't have the ability to look at numerous heavy metals here at the college, we took advantage of the REU collaboration," Sliko said. "It was a good opportunity for the students to be exposed to resources on campus and at University Park and there is potential for future collaborations, as well." The consensus of the group is that the there is value in broad restorations that reconnect the stream to its floodplain—the area of land adjacent to a stream or river. The more you create a natural connection of the stream to the land, the better the stream performs, according to Sliko. "These broad restorations are the most effective," Sliko said. "However, you must also look at the land-use policies in the watershed and the external factors, such as whether you have a sewage plant dumping into a stream or a farmer discharging nutrient-rich water. The policies that regulate what gets dumped into the streams could play a more important role than the stream restorations themselves." Sliko added that broad restorations are also beneficial because they provide a storage place for flood water. "The more you pave, put down buildings or streets or parking lots, water cannot soak into the ground. It flows over ground, dumps into a stream and creates more flooding," she said. "Broad restorations, while more expensive, are more effective in reducing flooding." One of the streams the group tested is located at the Masonic Village retirement community a few miles from campus in Elizabethtown, Pennsylvania. In 2008, in conjunction with several local organizations, the village completed a broad riparian restoration of a portion of the Conoy Creek located along its property. The project removed centuries of nutrient-laden sediments and restored 3,200 feet of the creek's floodplain, including the reconstruction of the wetland environment that existed between 300 and 5,000 years ago. Clark, who is collaborating with Sliko on the research project, explained, "A long time ago, this area didn't flood that much because we weren't building so close to the creek. The residents are thrilled with the restoration because it allows nature to slow down the water, let's some of it soak into the soil, replenish the ground water, and even, with this wide bank of trees and bushes, it takes a lot more energy to push water through, so it slows the water down and the flood wave gets lower and lower until eventually it is back in the banks." 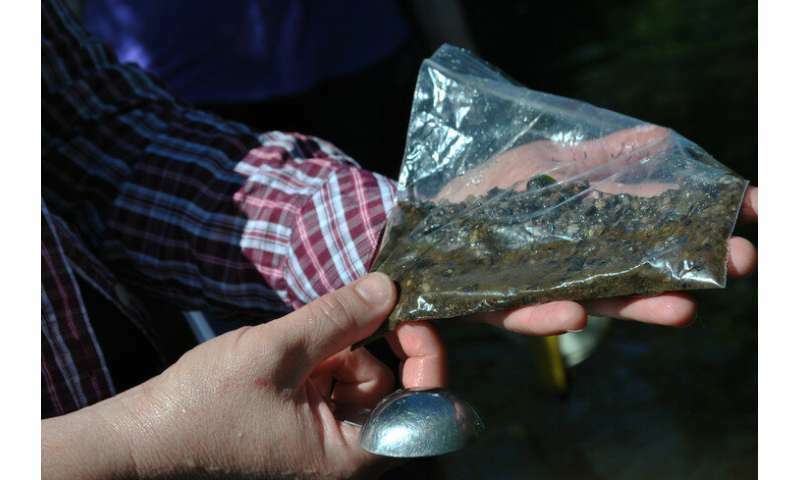 At Conoy Creek, the group collected samples and conducted their tests upstream and downstream of the restoration. They are trying to determine if the water quality improves, or at least stays the same. They collected water samples for lab analysis, did bacterial analysis, and collected sediment; they also measured for dissolved oxygen, another indicator of water health. Sliko said that future research involves looking at insects that live in the water as another indication of stream health. "It's the start of a great project," Smolinski, an environmental pollution control graduate student, added. "We looked at six streams and it makes us a little more curious about more streams and if there are other things we can learn." Ogora, a civil engineering senior, said that she was fascinated by the results. "You would think that the stream had been fixed by the restoration, and the water would be improved," said Ogora. "This research answered the first question, but opened up so many others."